editor replied to Urbannizer's topic in Going Up! Sorry about the pictures in this thread, guys. A company called Large Arts in Collingwood, Australia demands that we not show renderings of this property: There's a lot of things I could say about this, but since I'm not the owner of this site, I will keep my thoughts to myself. I'm OK with this. I'll put it on the list. I think using quotes is a good idea anyway when searching for phrases. It should always provide better, faster results. Interesting that you noticed the system ignores numbers. From a technical standpoint, I can think of a couple of reasons why this might be done. But again, quotation marks is the way to go anyway. I think just send me a list of links for each section. I should be able to move things around from there. Possibly. E-mail is a tricky thing these days. The spam companies have become so aggressive that it's hard to legitimate e-mail from a place like HAIF to get around. I'll poke around and see if there's anything else I can do. That seems easy and logical. I'll add it to the "easy" list. It should be there soon...ish. Eep! Other things... I tweaked some search settings. So now when you search for Marvin Zindler, you only get results with both Marvin and Zindler, instead of every post with Marvin in it. I made two new neighborhood sections: Third Ward and University of Houston and I added East Houston to the East End section. Now comes the task of moving a bunch of posts into there to seed it. Since I'm not all that familiar with the neighborhood, anyone who wants to nominate posts to move, please let me know. I have enabled lazy loading of images. Broadly speaking, I'm against that sort of thing, but it should help speed up page loading, and that's a good thing. Unfortunately, it won't work for most of the threads already posted — only mostly for new threads. Also, if you see a page jumping around during load, that's because someone posted an image in the thread that's from an outside web site, and there's no way to know what size the picture is until it arrives. They were actually removed by the people who make the forum software. Apparently doing all that forward-looking is a major drag on the database. I'm afraid I don't know enough about it to tell them they're wrong. Hi everyone. I'm still ticking through the complaints list. (Complaints in a good way, not in the "I'd like to speak to your supervisor" way.) One of the ones that came in was this: What's going on with the image compressions? Many of the images, no matter how small or big or how old or new, are fuzzy or plain crappy looking on the forum since the server switch. I've begun to include a direct link below the images I repost as a workaround. Images take up bandwidth for sure, but can this be fixed? I'm sorry I don't remember who wrote it - I've just been copying items from the forum into a to-do list. Can anyone link to an example of where this is a problem? That would help me start investigating what's causing it. Hi everyone, I've been tinkering still behind the scenes. Here's a summary of what I can remember off the top of my head: Fixed an issue with outbound mail notifications. If you get notifications by mail they should arrive more reliably now. Though nothing is 100% with e-mail anymore. Made some changes that reduced average CPU use from 32% to 5%. Thirty-two percent wasn't bad, but there are times when things spike, so the more headroom there is, the better. Made some changes that reduced average memory use from 21% to 5%. Again, 21% isn't bad, but we need to be ready for spikes. HAIF has always been prone to traffic spikes. Fixed a crashed portion of the database. Made some changes to prevent disk write spikes. These were up to 23GB/s at one point (We're on an array of SSD's). We're now around 1-2MB/s. Why was it so high? Traffic spikes + RAM swapping to disk + HAIF has eighty brazillion messages going back 16 years. Cleared out some cruft to reduce disk use from 89% to 42%. I set up some automatic monitoring alerts so that if HAIF is headed to a bad place I will get an e-mail alert. Hopefully I'll be in a place where I can get to a computer and see what's happening before it all goes sideways. The new server seems to be working out well. I hope that the new server combined with the recent tweaks will prevent that little problem we had with posts being posted, but feedback not being given to the user letting them know it happened for six minutes. We shall see. Keep letting me know about problems you see. If I haven't gotten to the ones you posted in last month's thread, don't worry — they're not forgotten. They're on the list. But I'm only able to work on HAIF a set number of hours per week, so I try to get to the most critical ones first, and occasionally the low-hanging fruit. It's the middle ones that get backlogged. But I intend to get to everyone's ideas. Thanks! I see this, too, now that you've mentioned it. I did a little database work that might help. I'll give it a few days to see if anything changes. Thanks for pointing it out! Thanks for bumping this. I wasn't in on the original discussion, but now that I'm back, I'll put it on the active list. What other neighborhoods do you think should be included in this section? UH was mentioned previously. Hi everyone. You may have noticed that HAIF fell over about 11 this morning. HAIF has been experiencing something of a growth spurt recently and I think that's what caused the problem. I've moved HAIF (again!) to a new server. Twice as much memory, twice as many CPUs, twice as much storage. Hopefully that will hold us for a while. Thank you for your patience during the move. And keep posting in the monthly threads about problems. I'll keep adding them to the list. Nope. Same as the peanut butter, per the inventor, and me, who was around when the GIF87A standard was created on CompuServe. This came in the e-mail today from Hines: --- New Lease Signed at 609 Main at Texas FEBRUARY 21, 2019 (HOUSTON) – Hines, the international real estate firm, announced today that EnVen Energy Corporation (“EnVen”) has signed an 11-year lease for 57,139 square feet at 609 Main at Texas, a 48-story, 1,073,075-square-foot office tower in downtown Houston. The independent oil and natural gas firm will relocate to the building this fall and will occupy the 31st and 32nd floors. With the signing of this lease, 609 Main at Texas stands at 80 percent leased. Other notable tenants include Kirkland & Ellis LLP, Orrick, Hogan Lovells, McKinsey & Company, Russell Reynolds Associates, Royal Bank of Canada, Goldman Sachs, and United Airlines. In addition, there are several transactions in progress which will bring the building to 93 percent leased. Hines Managing Director Philip Croker said, “We are thrilled to welcome EnVen to their new home at 609 Main at Texas. Adding them to our tenant roster is truly an honor for the firm, and we are very proud that they have chosen 609 Main for their new office space.” Hines was represented by Michael Anderson and Damon Thames with Colvill Office Properties while EnVen Energy was represented by Jim Bailey with Cushman Wakefield. 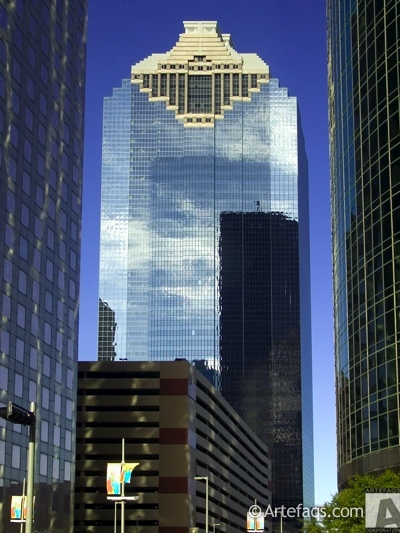 Designed by the internationally recognized architectural firm Pickard Chilton, 609 Main at Texas’ north and south façade extend skyward, culminating in a dramatic diagonal crown, creating a new, highly visible downtown landmark. Amenities at the vertically integrated campus include a "hotel-style" lobby with a café and spaces for networking; a 7,000-square-foot high-performance fitness center and 8,000-square-foot conference center; full-height windows allowing for an abundance of natural light throughout the building; a sophisticated underfloor HVAC system; and private roof gardens in select tenant spaces. About EnVen Energy EnVen is an independent oil and natural gas company engaged in the development, exploitation, exploration and acquisition of primarily crude oil properties in the deepwater region of the U.S. Gulf of Mexico. About Hines Hines is a privately owned global real estate investment firm founded in 1957 with a presence in 207 cities in 24 countries. Hines has approximately $116.4 billion of assets under management, including $64 billion for which Hines provides fiduciary investment management services, and $52.4 billion for which Hines provides third-party property-level services. 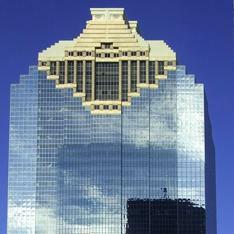 The firm has 109 developments currently underway around the world. Historically, Hines has developed, redeveloped or acquired 1,319 properties, totaling over 431 million square feet. The firm’s current property and asset management portfolio includes 527 properties, representing over 224 million square feet. With extensive experience in investments across the risk spectrum and all property types, and a pioneering commitment to sustainability, Hines is one of the largest and most-respected real estate organizations in the world. Visit www.hines.com for more information.